In 2011, I updated it to include Micro, Crichton’s posthumous novel that was completed by Richard Preston. When the digital publication of Michael Crichton’s pseudonym novels was announced, many people said they wished they could get print editions. Most of the titles were out of print and the second hand copies were often quite expensive. Especially Odds On, Drug of Choice, and The Venom Business. Hard Case Crime, which republished Grave Descend in 2006 and Zero Cool in 2008, will be publishing the eight novels Crichton wrote under the name “John Lange” in October/November 2013. Working with Michael (even if we had to keep it secret) was one of the great pleasures and privileges of my career, and ever since, I've wished we could have completed what we began. I've also wondered whether Michael might eventually have given in to temptation and written a whole new Lange novel for us -- no less persuasive a figure than Stephen King was encouraging him to do so! Alas, a new Lange novel will never be…but we’re very pleased to announce that five years later we finally will get to finish what we started. We’re going to be bringing all eight John Lange novels back to bookstores for the first time in more than four decades – and with the blessing of Michael’s family, the first time ever under the his real name. I work in a bookstore and I remember telling several Michael Crichton fans about the John Lange novels we had for sale. Most were very surprised, having had no idea that Crichton had written under a pseudonym. Unfortunately, Dealing or The Berkeley-to-Boston Forty-Brick Lost-Bag Blues (1970) by Michael Douglas is still available only in digital or out-of-print editions. 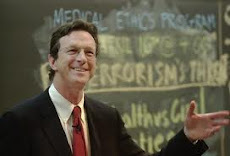 This video, made in 2001, contains an extensive interview with Michael Crichton. It’s included in The Andromeda Strain (1971) DVD. Crichton talks about his writing during the Med School Years, and explains how he chose the pseudonyms “John Lange” and “Jeffery Hudson”. Eight of the ten pseudonym novels by Michael Crichton were released in digital format on July 23. Ebook releases of Grave Descend and Zero Cool have been pushed back to August 27, 2013. No explanation has been given, but the other books will provide plenty of reading for now. I have print copies of all the titles. My favorites are Binary, Easy Go (aka The Last Tomb), Drug of Choice, and Scratch One. But all are fascinating reads, not only for what they reveal about Crichton as a writer, but in their own right. • A photo of Michael Crichton with his brother Douglas when they were boys. This photo was taken by their mother and appeared on the hardcover dust jacket of Dealing. • A photo of Crichton as an anthropology student at Harvard. He’s measuring some statues that I believe are the Elgin Marbles. • 1969 Harvard Crimson article about Michael Crichton. As I documented in an earlier post, Crichton also wrote a number of articles for the Crimson. • A photo of Crichton “hiking while doing research for his novel Micro”. This choked me up a bit. As you know, Crichton died before he could finish the novel. Micro was published in November 2011 after Richard Preston completed the novel based on Crichton’s drafts and notes. In a unanimous decision, the Supreme Court ruled that patents cannot be issued for “naturally occurring” substances. In the case Association for Molecular Pathology v. Myriad Genetics, Myriad had claimed that the act of isolating the two genes that indicate a higher risk of breast cancer justified the company receiving a patent on said genes. The court did, however, allow patents for cDNA (complementary DNA) but stated that they were not declaring that cDNA was entitled to be patented—just that right now there is no legal reason for forbidding it. This is a boon to biotech companies, who will be able to patent some products and therefore, receive some compensation for their research and hard work. However, as the court did not hold that cDNA is legally eligible for patents, this leaves the door open for Congress and the patent office to close this exception. Somewhere, Michael Crichton is grinning broadly. I've long suspected that the pseudonym novels might be released as ebooks. It’s a very cost efficient way to do it. Two of the John Lange novels were recently republished. Hard Case Crime republished Grave Descend as a paperback in 2006, and Zero Cool in 2008. They were published under the name “John Lange” with no indication that they were written by Michael Crichton. But 2008 edition of Zero Cool had a fascinating addition. Crichton wrote a prologue and epilogue in which the main character’s grandson is interviewing him and recording it on a camcorder. It’s as though Crichton was reflecting back on his early writing. Those sections of Zero Cool are the last publication of new material by Crichton before his death. Stay tuned for upcoming posts about what Michael Crichton has said about these earlier works. Not surprising considering how far ahead of his time Crichton usually was. It’s Spring and gene patents are before the US Supreme Court once again. On March 26, 2012, the Supreme Court threw out the U.S. Federal Circuit Court of Appeals 2011 decision upholding gene patents in the case Association for Molecular Pathology v. Myriad Genetics. The case was sent back to the lower court for a do-over, with instructions to review the case in consideration of the Supreme Court’s decision in the March 20 case Mayo Collaborative Services v. Prometheus Laboratories, Inc. Analysis, which held restrictions on genetic patents. On August 16, the Federal Circuit Court again upheld gene patents, with the vote going along the same 2-1 lines as in the 2011 decision. In short, the Supreme Court told the Circuit Court to try again, taking into account the Prometheus decision. The Circuit Court decided that they got it right the first time. Now we see if the Supreme Court agrees. Oral arguments were heard today. A decision is expected this summer. Check back for a more detailed summary and analysis. Here is a short video "The Making of Westworld". This was the first film that Michael Crichton wrote and directed. Many thanks to the "Anonymous" fan who alerted me to this! Many thanks to the reader who brought this to my attention!